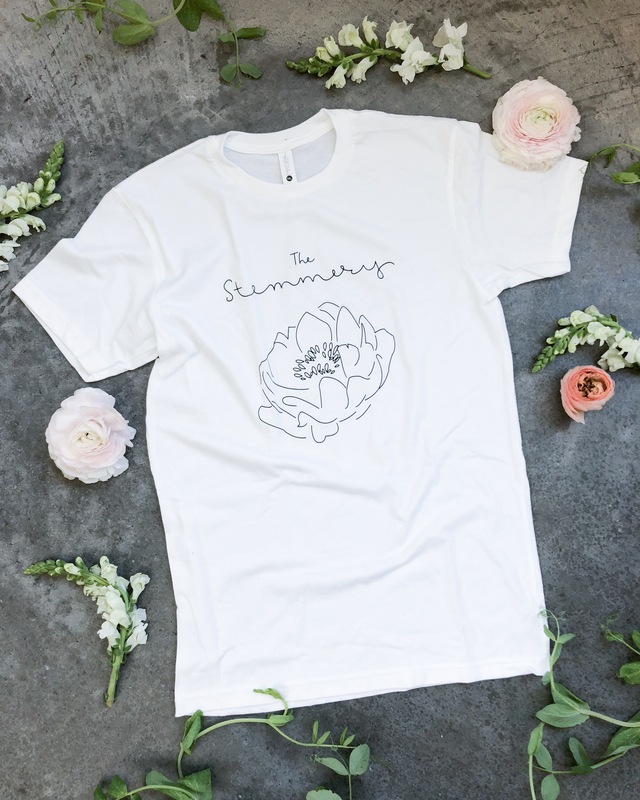 The Stemmery tee is unisex and comes in a super soft white cotton-poly blend t-shirt featuring The Stemmery logo in navy blue on the front. The back is blank. The Stemmery tee and a super soft white cotton-poly blend t-shirt featuring The Stemmery logo in navy blue on the front. The back is blank.